This and all accompanying photos courtesy of Mike Alexander. Bordeaux is a city with a long and rich history, which has been enhanced by the wealth generated by hundreds of years of fine wine production. Living here, as I have done for the last few months, it is difficult not to be impressed by all the magnificent architecture you find yourself surrounded by. A little less obvious, perhaps, are some of the ancient plants that carry a history of their own, if one knows where to look. 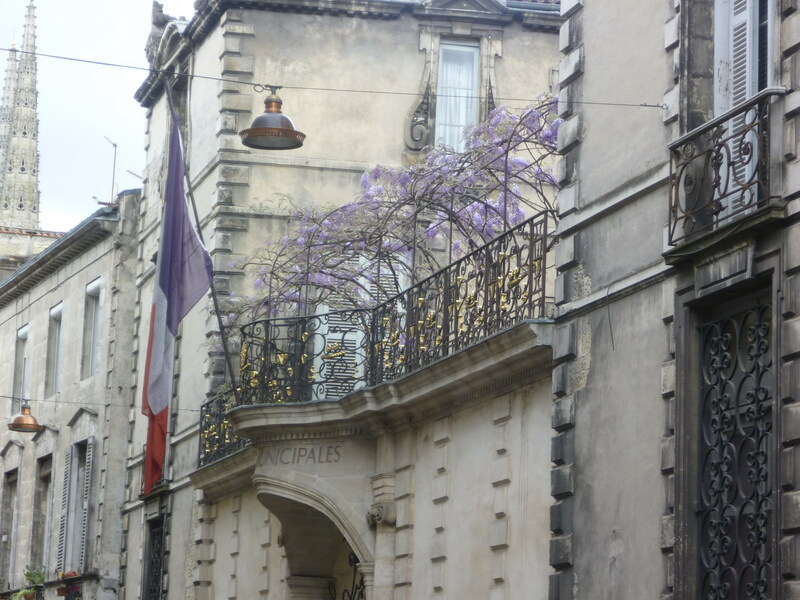 Tucked away in the courtyard of the municipal archives building is a Wisteria sinensis. These climbers thrive in France but this one has a longer than usual past. Officially, the wisteria was first thought to have arrived in Europe in 1816 but historians say this specimen was planted here in 1758 and has managed to flower ever since, despite the fact that it was once seriously attacked by termites. It has now been recognized by being placed on the list, “Arbre remarquable de France” (Remarkable Trees of France), giving it protected status. At the hotel La Maison du Lierre or “house of ivy” the walls are covered by Hedera canariensis (Canarian Ivy) thought to be nearly two hundred years old. The base of this plant has a circumference of 55 centimeters (about 21 inches) and the vigorous leaves reach thirty centimeters (nearly 12 inches) wide. The word hedera symbolizes immortality and this plant has surely lived up to its name. 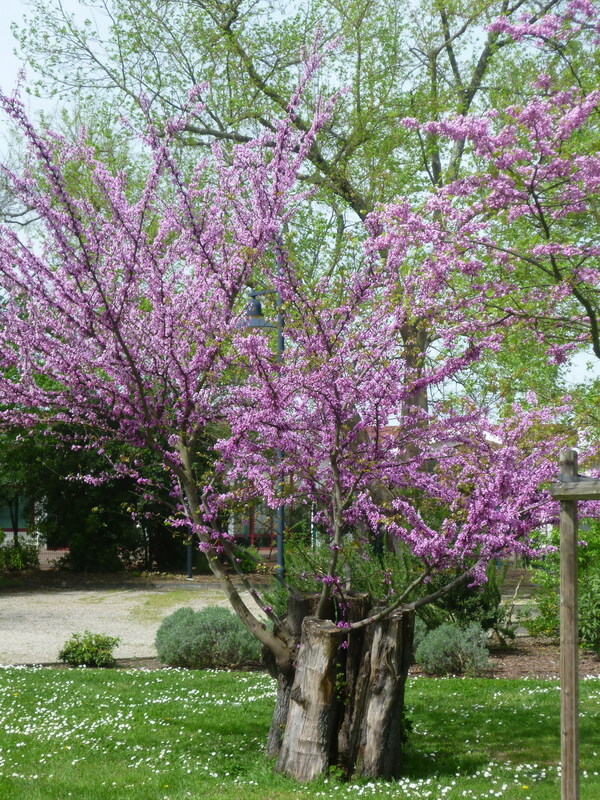 Slightly further afield, in the Cauderan Quartier there is a rather unimpressive looking Judas tree or Cercis siliquastrum. These trees, which get their common name from the pink flowers they display in spring, are supposed to be of the same species as those from which Judas hung himself after the betrayal of Christ. They are a common sight in France, but this particular plant dates back 250 years. It has suffered with time and was recently cut back almost to the ground but has subsequently regrown from the stump and is once again flowering well. Perhaps Lazarus tree might have been a more appropriate name for it. Of all the historic plants in this city my personal favorite is the Magnolia grandiflora in the beautiful Jardin Public on the edge of the city center. 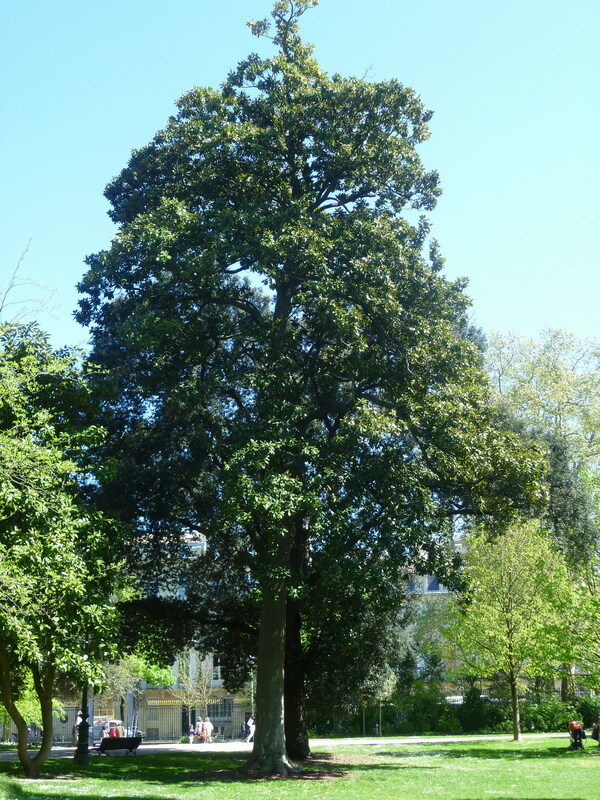 Work started on the garden in 1856 and in 1857 the creators took possession of a fifteen and a half meter (50-foot) high tree which at that time was growing happily in the Jardin des plantes in Chartreuse. The tree was already forty two years old and weighed in at a hefty 45 ton. Undeterred, the new owners laid two kilometers (one and a quarter miles) of railway track and over the course of several days the magnolia was towed to its new home by 35 white horses decorated for the occasion with pompoms and colored ribbons. It was accompanied by fire fighters who sprayed the tree with water throughout its journey. Twelve smaller trees then followed the same route and thanks to the addition of these adult plants a new park instantly took shape. Today, it is probably the most visited park in a city that is very well endowed with public spaces. Perhaps it is time more urban centers took note of the wealth of floral history that they have available to them to help make our world a greener place. This entry was posted in Garden, Travel, Uncategorized and tagged Bordeaux, Europe, European, France, French, garden, gardens, Horticulture, ivy, Miek Alexander, parks, plants, travel, Trees. Bookmark the permalink.